Flin Flon is located nearly 1000 kilometers north of the US border in Northern Manitoba. The small, Canadian mining community is also the only city in the world to be named after a science fiction character: Josiah Flintabbatey Flonatin from 'The Sunless City.' 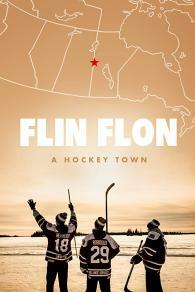 'Flin Flon: A Hockey Town' explores the town's eccentric obsession with its legendary junior hockey team, The Flin Flon Bombers and how the team and the community support one another.